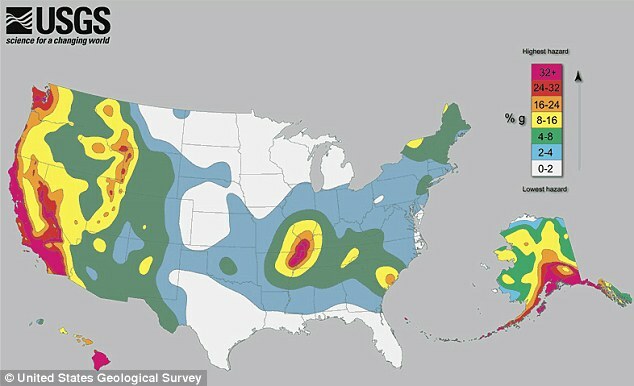 January 25, 2014 – MISSOURI — The New Madrid fault zone in the nation’s midsection is active and could spawn future large earthquakes, scientists reported Thursday. It’s “not dead yet,” said U.S. Geological Survey seismologist Susan Hough, who was part of the study published online by the journal Science. Researchers have long debated just how much of a hazard New Madrid (MAD’-rihd) poses. The zone stretches 150 miles, crossing parts of Arkansas, Illinois, Indiana, Kentucky, Mississippi, Missouri and Tennessee. In 1811 and 1812, it unleashed a trio of powerful jolts — measuring magnitudes 7.5 to 7.7 — that rattled the central Mississippi River valley. Chimneys fell and boats capsized. Farmland sank and turned into swamps. The death toll is unknown, but experts don’t believe there were mass casualties because the region was sparsely populated then. Unlike California’s San Andreas and other faults that occur along boundaries of shifting tectonic plates, New Madrid is less understood since it’s in the middle of the continent, far from plate boundaries. Previous studies have suggested that it may be shutting down, based on GPS readings that showed little strain accumulation at the surface. Other research came to the same conclusion by blaming ongoing quake activity on aftershocks from the 1800s, which would essentially relieve strain on the fault. The latest study suggests otherwise.